I grew up in a small town outside of Dodge City, which used to be famous for its corruption and gun battles, as well as a favorite hot spot of Western TV shows. But by the time I lived there, it was a quiet, sleepy small town that had traded in its brothels and bars for meatpacking plants and wheat farming. My years in Kansas were more defined by the small Mennonite Brethren community of which I was a part. My parents were the pastors of that community and I had a very insulated upbringing. I had only been to the movie theater a single time growing up and was completely unaware of the larger world that the entertainment industry represented and comprised. In fact, I felt incredibly guilty about seeing that movie in the theater because of our church’s stance on entertainment. But, much to my surprise, God gave me a dream to become an actor and make movies while I was growing up in those Kansas wheat fields. My journey started at Moody Bible Institute in Chicago, where my parents and most of my relatives had studied, but I left after my first year. I called my dad and told him I was moving to Hollywood to make movies. 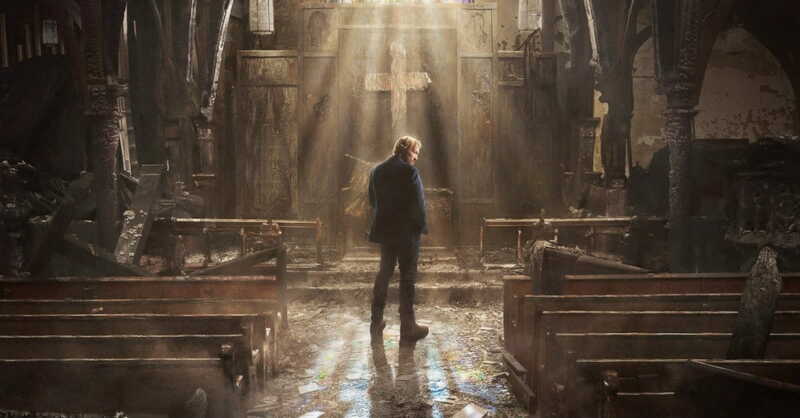 This weekend GOD’S NOT DEAD: A LIGHT IN DARKNESS opens nationwide as the third installment in the series, and it is sharing a message that could not be more relevant and timely to our nation today. Rather than being a country of unity, we have become a society defined by division, anger and brokenness. But I believe that God is raising up a generation of believers to walk in grace and to shine God’s light into that darkness. My hope is that GOD’S NOT DEAD: A LIGHT IN DARKNESS will spark conversations about how we can show love to our neighbors even through conflict. 1. "The Church has become known more for what it’s against, than what it’s for." God calls us to be separate and apart from the world, even as we live in it. Rather than reflecting the world’s conflict, we can offer a different narrative – the Gospel. We have to show the world what we as Christians stand for – God’s grace and the redemptive power of faith in Christ. We cannot shy away from shining God’s light through grace, forgiveness and kindness. God has handpicked and placed you where you are for a purpose. He has chosen you to show His love to the people around you. When we extend God’s love even to those that don’t deserve it, (which is all of us) we bring light into the darkness. 2. "It’s okay to be broken. It means God is still shaping you." Our culture needs us to go first. We need to be willing to say, “I know I am not perfect, this is why I need Jesus.” People need to see us being real. All of us are broken, and God’s Word tells us that truth. God is always at work in us, finishing the good work He started when we accepted Christ into our lives. We bring light into the darkness when we admit our failures and walk out our faith humbly. 3. "If grace isn't our goal, we are just fighting"
We have to be careful to not get too caught up in the culture wars; after all, we are called to a different kingdom – the kingdom of God. The people around us and connected to us on social media need to know that our goal is grace. Most of all, the people in our lives need to hear from us how much God loves them, mess and all, and how much he wants to draw them to Himself. God always has a plan. Even when our culture is dark, it is an opportunity for His light to shine brightest through us. When we bring light into the darkness, God is glorified. When God is glorified, others begin to see Him for who He truly is. The world around us needs us to shine God’s light like never before. Sometimes all it takes is a spark. Catch GOD'S NOT DEAD: A LIGHT IN DARKNESS in theaters nationwide this weekend! Editor's Note: This article first published on think eternity, used with permission. *David A.R. White is an actor, producer, and founder of Pure Flix, the leading faith-based movie studio in the world. David has starred in close to 20 feature-length films. He shares his personal story in his book Between Heaven and Hollywood. He and his wife Andrea Logan White, and their three kids live in Southern California. More at DavidARWhite.com.